Facebook and Twitter are the Jackie and Marilyn of social networks. Diametrically opposed but both enormously popular, Facebook is for sharing with a closed group of friends and Twitter is for short, intensely public announcements. But Facebook is creeping into Twitter’s turf, tinkering with settings to encourage more public communication. And according to the Wall Street Journal and AllThingsD, Facebook is adopting one of Twitter’s most iconic features – the hashtag. On Twitter, people use the hashtag – the “#” sign, if you’re new to this – in a few different ways. It was initially conceived as a way to label your tweets, so you could find people interested in discussing the same topic. As Twitter describes it to new users, the hashtag “is used to mark keywords or topics in a Tweet. It was created organically by Twitter users as a way to categorize messages.” And people still use it this way, which is obvious whenever a major event goes on – just look up #Oscars or #Superbowl, or this week, #Pope. But people also use the hashtag for punchlines, for emphasis, to denote irony, and for countless other reasons. It’s become a versatile, genuinely useful, and fun tool that the Internet has put its stamp all over. The hashtag has been adopted by other social platforms for search and discovery purposes, and it’s a simple yet elegant mechanism for these purposes. Instagram and Vine both rely on the function (although, this is unsurprising given that Twitter owns the latter of the two). 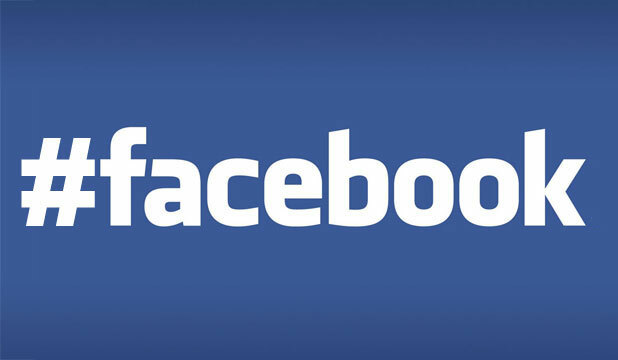 But Facebook has held out, relying on the “@” tag – also, for discovery purposes, this is fairly limited. It also means that uses who push their tweets and Instagrams to Facebook are pushing content that doesn’t maintain its function, and … well, looks stupid. And now, it’s sounding like Facebook is going to play catch up and start acknowledging the hashtag. Clearly, the social network has no intentions of resting on its laurels, and has introduced a number of substantial projects in the past few months. It debuted a redesigned, image-oriented NewsFeed, which Mark Zuckerberg described as a “personalized newspaper.” And the Graph Search project enters Facebook into the search engine foray and situates the social network as a proper Google challenger. So the decision to lift one of Twitter’s most beloved features shouldn’t come as a surprise, since Facebook is moving away from intimate conversations and trying to get users to engage more publicly. The hashtag may be Facebook’s way of encouraging users to make their status updates public and searchable instead of hidden behind privacy settings. But don’t get too excited – the unnamed sources that spoke to the WSJ said “It is unclear how far along Facebook’s work on the hashtag is and the feature isn’t likely to be introduced imminently.” So if you’re dying to use hashtags, stick with Twitter and Instagram for now.